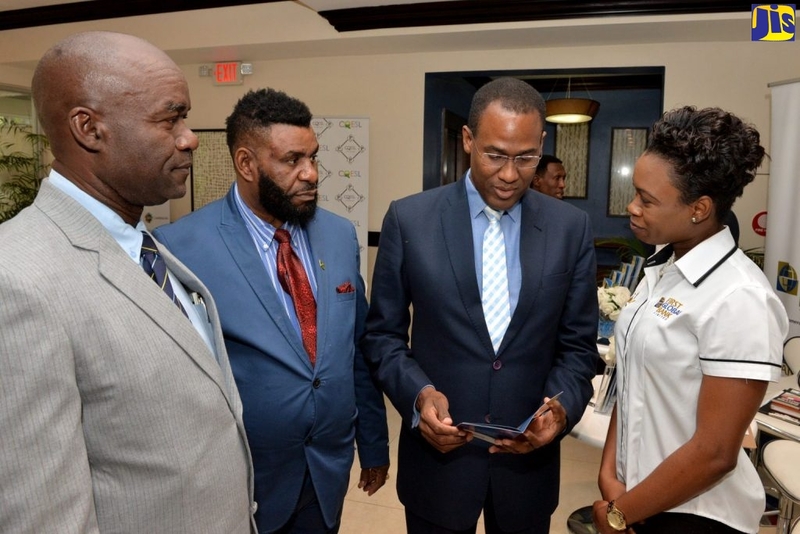 Minister of State in the Ministry of Agriculture, Errol Ennis, has said that small agro-processing enterprises that utilise good manufacturing and management practices could become profitable. Making his contribution to the 2005/06 Sectoral Debate in the House of Representatives yesterday (June 22), the State Minister cited Twickenham Industry, which produces bammies, as an example of a small business that has demonstrated quantifiable success. Twickenham Industry, a St. Catherine-based enterprise, became operational in 1994 following the government’s implementation of a technical cooperation project with assistance from the Food and Agricultural Organisation (FAO) of the United Nations. Eleven years since its establishment, the State Minister pointed out that the enterprise that began with two workers, now has a staff complement of 22, and has substantially grown from initially providing a market for two cassava farmers to more than 80 cassava farmers. Presently, an estimated 30, 000 kilograms of cassava root is processed by the company on a monthly basis, and it has utilised approximately 2, 840 metric tons of the commodity over the course of its existence. “It expects to triple its monthly figure by 2006/07, and gross income for last year was $15 million from 270, 243 kilograms of cassava,” Minster Ennis said. Highlighting other indicators of Twickenham’s success, he noted that the business, which once “manufactured bammies of one size and shape.now produces bammies of varying sizes, shapes and flavours,” and has gone beyond only supplying the Jamaican market to exporting to North American and Europe as well. Investments in efficient machinery and improvements to the business’ infrastructure, its transportation and overall efficiency, were all cited as practical business decisions that helped to boon the company’s growth over time. Mr. Ennis added that the company had also developed value-added products from cassava “including the unique cassava pancake mix, cassava flour, and methane gas from treatment of cassava wastewater.” Additionally, he said, Twickenham Industry is in the process of manufacturing three fruit-based pancake syrups – guava, otaheite apple, and mango – all which are intended to complement the pancake mix. In terms of constraints facing the company, the State Minister said like other users of cassava, the enterprise was experiencing great difficulties in securing cassava for its operations as the effects of Hurricane Ivan and the prolonged drought which followed, affected crops which were in the ground. “The Rural Agricultural Development Authority (RADA) as well as other processors of cassava, have since initiated special arrangements with farmers for the production of cassava in an organised manner, so that they will have adequate supplies soon,” he informed. Given that the enterprise has outgrown its capacity to supply its present demand, Minister Ennis said there were plans to embark on an expansion programme to better satisfy demand and also to position the company “to occupy a greater share of the international market”.